Why the game does not work on my tablet? How do I uninstall my games on my Windows PC? I do not see a shortcut to the game on my desktop? On the Windows taskbar, click the Start button, then Control Panel, then System. Click the PLUS (+) sign or arrow in front of Display Adapters. Write down the info that appears just below Display Adapters. Click the PLUS (+) sign or arrow in front of Sound, Video and Game Controllers. Write down the info that appears just below Sound, Video and Game Controllers. Windows 10 is relatively new platform and is bound to have some problems. Make sure your Windows version is up to date with the newest graphics card drivers. Additionally these instructions might help to fix some other issues. Launch the game normally. Make sure you are running the game just the way you normally do, even if the screen display comes out to be wrong. It is likely that you will see the game pinned to the task bar, and in a minimized window. This is completely to be expected, and should not hinder you from performing the next steps. 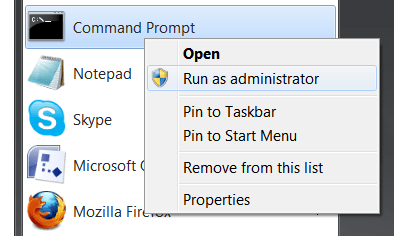 Right-click the task bar to open task manager, or use the trusty, old CTRL+ALT+DEL command. Go to the ‘Applications’ tab in task manager and locate the entry for the game you ran in step 1. Right-click this entry. From the resulting menu, choose the ‘Go to process’ option. On the game’s process, hit the ‘Switch To’ option. Select full screen mode, if that option presents itself. Sometimes older games might require to be run in compatibility mode. In the search box, type the name of the program, right-click the search result, and selectOpen file location. 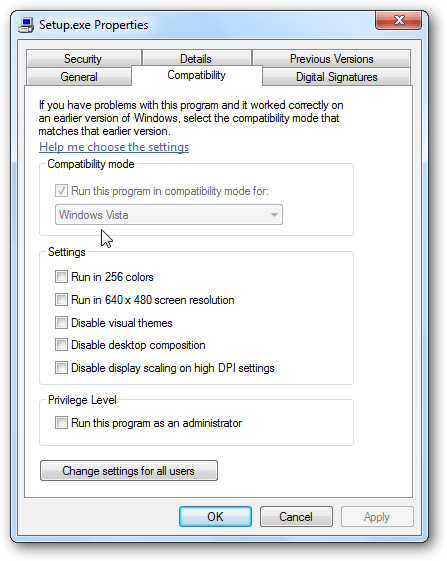 Right-click the program icon, select Properties, and then select the Compatibility tab. Select one or more of the settings (see the table below for more info). If you want to apply the settings for that program to all accounts on the PC, select Change settings for all users. Most graphics problems are related to the graphics card and the installed drivers on the computer. Update the graphics card drivers to the most recent version and check if that would resolve the issue. Most likely you need to restart the computer as well. First, you need to identify which brand of graphic card your computer has, and then find the newest driver from the manufacturer site. Here's a few links to the most common graphic card manufacturer websites. Are you running some anti-virus or firewall software that might prevent the game accessing the necessary files? Try disabling them temporarily to see if they are the cause of the problem. If the issue seems to be linked to your anti-virus or firewall program, consult the support of that software on how to create a rule or exception for the game to run normally. DirectX is software that allows your game to communicate with the hardware on your computer. IMPORTANT: Before updating DirectX, check with your hardware manufacturer to ensure that your video and sound cards are compatible with the latest version of DirectX. There is no way to uninstall or roll back this upgrade. If you are running Windows XP Service Pack 2, Windows Vista, or Windows 7, then you most likely already have the latest version of Direct X. If you are not sure, the easiest way to get DirectX is to perform a Windows Update. We guarantee that the games downloaded from gametop.com are all completely virus free. Additionally, there are no in-game ads, other malware or toolbars installed with the game. You can be assured the games are 100% safe. Sometimes anti-virus programs notify that they have detected virus or something else in our games. This is generally due to the fact that most anti-virus programs use heuristic scanning, which can trigger false alarms. You can either ignore the notification or use another anti-virus program. We will scan our games with Kaspersky anti-virus software. Click the Windows Start button and click Control Panel. Find and select the game from the list of programs. Sometimes on older computer systems you might get an error of a missing .dll file. This is usually caused by missing software libraries that are used by the game, or more rarely a broken system file within your copy of Windows. Luckily in most cases these issues are easy to fix. Open System by clicking the Start button right-clicking Computer, and then clicking Properties. On the General tab, in the Home page section, delete the URL or text that is displayed in the box. Type the URL of the website you want to set as your homepage in the same box, and then click OK.
Close your browser. The next time you launch your browser, the website you set as your homepage will appear. Click the Tools menu, and then click Options. On the General tab, delete the URL or text that is displayed in the Home Page box. Type the URL of the website you want to set as your homepage in the Home Page box, and then click OK.
Click on Customize and control Google Chrome (the wrench icon). Click the Basics tab, under the Home page section, select Open this page: and type the URL of the website you want to set as your homepage. Our games are hosted on a very high performance platform and the chances of any game being unavailable is very slim. However, sometimes the user might still get failed downloads. This is typically due to unstable internet connection at the user end (computer system, network, service provider) or other complication. We also do not encourage to use any download managers that might interfere with the process. Just try to download the game at another time. After installing a game from Gametop successfully, you will see a shortcut on your desktop to start the game. There should be another shortcut in your Windows start menu (Gametop folder). Sometimes (depending on user account level and operating system version / changes) the shortcuts might be missing. The best way to create the helpful shortcuts is to use the search function to find the game and then right click on the file to create a shortcut for desktop. Sometimes new operating systems are too modern for older games and trying to start a game might result in an error. An easy and a quick way is to try running the game either as administrator or in compatibility mode. Thank you for your feedback. We are happy to hear that you enjoy our games. Please check back often to see what new exciting games we have released. You might also want to consider bookmarking our website Gametop.com and let your friends know about our free games. The more people know about us, the more game we can make available for free.